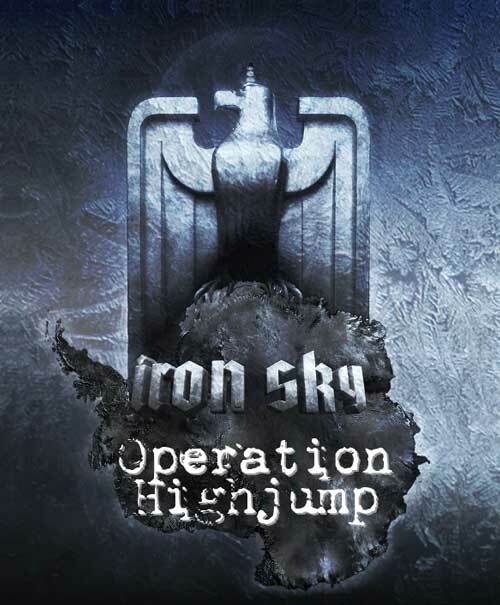 The Finnish GNU/Linux game porters (and now developers) Igios who recently ported Shadowgrounds and Shadowgrounds Survivor to GNU/Linux (with Linux Game Publishing) and LudoCraft are working on a new game named Iron Sky: Operation Highjump which is based on the in-production movie Iron sky from the makers of Star Wreck ! I like the community open development of the game, while it’s not FOSS and you can’t see the code – you can get updates, influence the development with ideas, writings, etc… and even get credits in the game (and not just a name at the end credits, but you might get a character or a mentioning of your name in the game). They got Wreckamovie , Facebook , and a regularly updatedTwitter Page ! They also got a game blog updated by the community manager and writer in the game production Matti Delahay. Towards the end of World War II the staff of SS officer Hans Kammler made a significant breakthrough in anti-gravity. Now it’s 2018, the Nazi invasion is on its way and the world is goose-stepping towards its doom. While the game is based on the same universe as the movie, it takes place at 1947 on earth while the movie takes place at 2018 on the moon. Iron Sky, the dark science fiction comedy film set in the year 2018 about the Nazis on the dark side of the Moon will turn into a computer game. The game’s story line happens before the films events, setting a background to the films story. Iron Sky – the game is set to be released in 2011 before the film’s theatrical premiere. “The production of the game will begin this summer simultaneously with the pre-production of the film”, IGIOS CEO *Tapio Honkonen* tells. “The game will be released simultaneously on several gaming platforms. There’s also a plan for more games related to the movie”. “Max Payne was an example of how a movie can be made out of a Finnish game, but never before has a 3D game been made out of a Finnish movie! We are now making a stunning game for international distribution. It is interesting to participate on such a high profile production”, says enthusiastic Tony Manninen, the CEO of LudoCraft. Through previous projects LudoCraft has specialized on creating visually stunning 3D games. IGIOS is a strong technology developer that also has experience on completing game projects. Operation Highjump is a real time 3rd person single player action adventure game set in an alternate history equivalent of WWII era. A standalone story in the world of Iron Sky, the plot revolves around a secret underground Nazi base on the Antarctica in 1947. The game will be set entirely on Earth, the Moon will not be a playable area since the first Nazi Moon fleet has only launched 2 years earlier. The player characters will be mostly American scouts, but there will also be a chance to play an insider spy. Rather than plain vanilla technical and graphical splendour, we aim for good playability, immersive plot content, strong dialogue and atmospheric environments. (Yes, that’s what they all say. But we mean it.). Add a nice big cup of strong, black humor and you’ve got a general idea of what we’re shooting for. As for the technical specs, I can’t go into much details about our choice of engine and such for a while longer, but as said, it’ll be in 3rd person and probably use an overhead camera. The game is planned to be released at 2011 and will have a native GNU/Linux client ! Hey, so where did you get the information about the Linux version? I can’t find it anywhere. Is that just a conclusion because of the previous ports, or did they confirm it anywhere? I’ve emailed Igios and they replied that there will be a GNU/Linux port. Nice, good to know. Btw. I guess the Afterworld Linux client got totally dropped. In the past they said that there could already be one during the beta and that there will be one after release, but now all the Linux threads in their forums are gone and they don’t reply to emails at all. I’ve written one about two weeks ago. Oh, and you don’t really believe that Multiwinia is still getting a Linux client, do you? I already knew it when there was none a while after release, but now it’s like 100% certain. Why would they still bother to port a game that is all about multiplayer, ages after the initial release? So there is still a chance.